The complete list of all our custom rubber mats is HERE. The project was extremely exhausting and time consuming, but we have succeeded. That’s why we are so excited and proud that we started the production of Gledring rubber trunk mats. It took just over 3 years from the idea to the realization and the beginning of production. Not only did we develop the perfect product for this purpose we made a step further and together with experts developed and patented a brand new material Rubassol in the automotive industry. The trunk mat is fully fitted with the luggage compartment and is characterized by its high quality and elegant design. We also added a multifunctional carpet with which you can optionally protect the rear bumper or back seats. 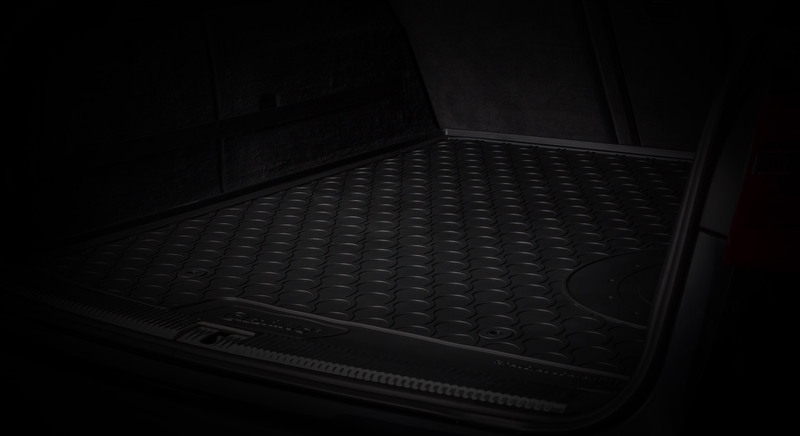 It is a completely new use and function of the trunk mat, which was developed and patented by Gledring. We developed and protected our own material called Rubassol. Its specialty is the quality, the beautiful appearance of the final product, the flexibility, the cleanliness and much more. The material has all the necessary certifications needed to sell the product throughout the world. We also got a food certificate, which testifies to the integrity and cleanliness of the material since it can be used in the food industry. In year 2016 we produce for you 44 new models of CUSTOM-FIT RUBBER CAR MATS – so at the moment we can offer you all together 458 different models.